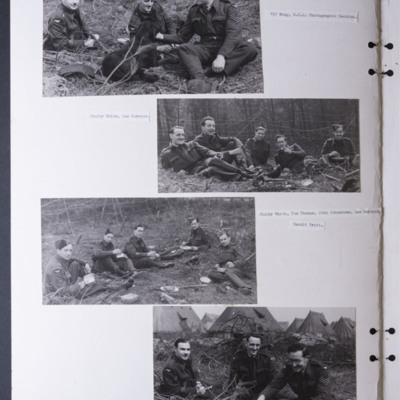 Photograph 1 and 2 are of the King and officers standing in front of a Boston. 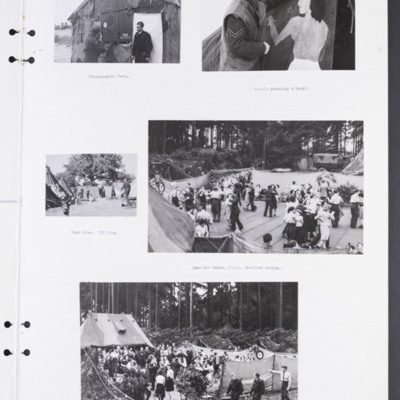 Photograph 3 is of the King being shown a vertical aerial camera set up. Photograph 4 is of the King and Queen with an officer looking at his watch. 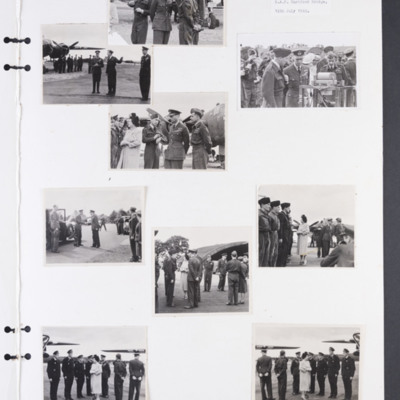 Photographs 1 to 7 are of King George VI presenting medals to airmen. 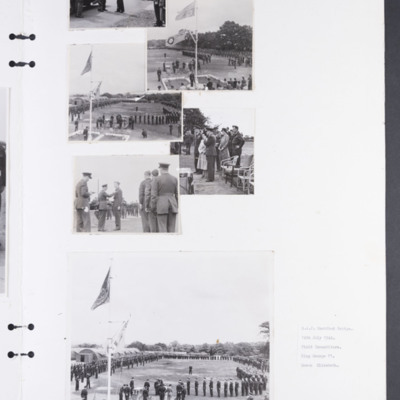 Photograph 8 is an overall view of the investiture ceremony with the King and Queen, airmen and airwomen lined up and civilians spectating. Photograph 1 is of the Queen leaving her car. Photograph 2 and 6 are of the King and Queen leaving the Officer's Mess. 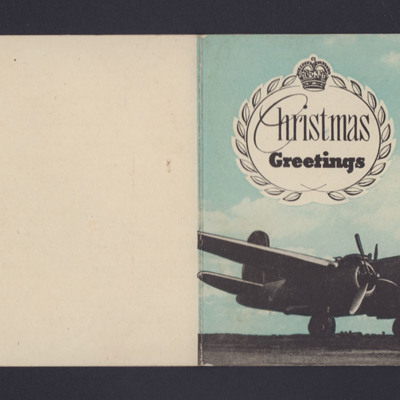 Photograph 3 is of the King and Queen talking to airmen. Photograph 4 is of the King shaking the hand of an airman. 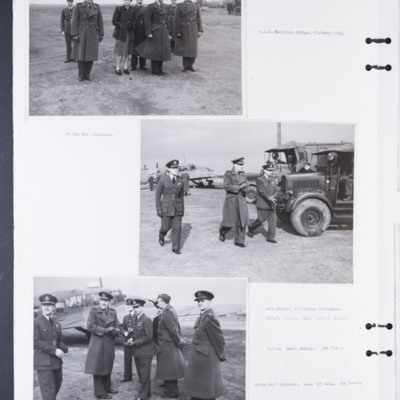 Photograph 1 is of two officers shaking hands, watched by airmen and airwomen. 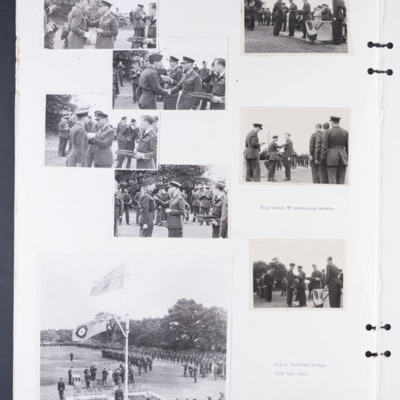 Photograph 2, 3 and 6 are of views of the parade with a royal and RAF ensign central to the view. Photographs 1 to 4 are of General Eisenhower being shown round a display of photographs. Captioned 'R.A.F. Hartford Bridge. 137 Wing, 2nd T.A.F. 17. April 1944. 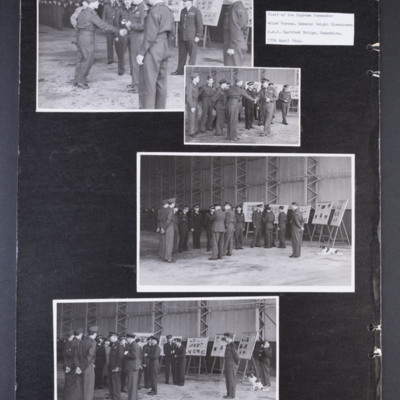 Photographs 1 to 4 are of groups of airmen and officers meeting General Eisenhower. 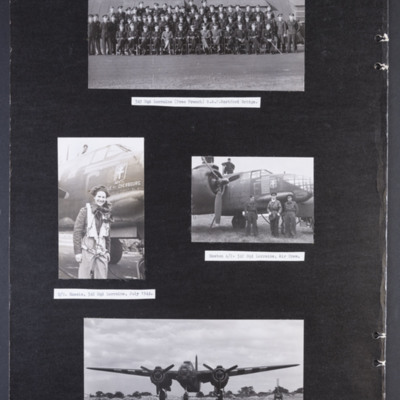 There are photographic displays on boards. 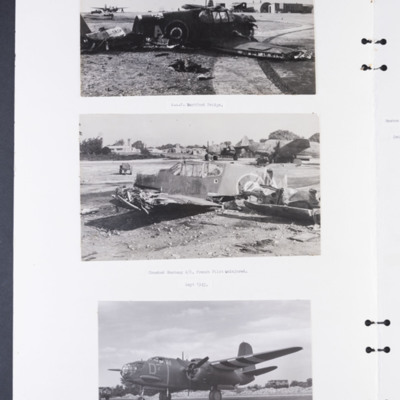 Photograph 2 is of three airmen officers walking past two trucks, behind is an Anson.